Make a variety of delicious ground beef recipes using your slow cooker with our printable free eCookbook, Great Ground Beef Recipes: 13 Slow Cooker Ground Beef Recipes. In our free eCookbook, you'll find ground beef slow cooker recipes for appetizers, main dishes, and hearty slow cooker casserole ground beef recipes. These top-rated ground beef recipes for the slow cooker are tasty delights for any time of year, no matter the season. No matter the time of year, you’ll always want to have ground beef recipes handy for weeknight meals. Ground beef is budget-friendly and versatile, making it a great protein with which to cook! No to mention, if you cook up ground beef recipes in your slow cooker, they’re sure to be simple! 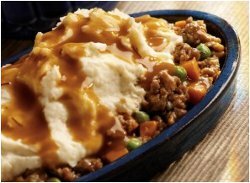 On AllFreeSlowCookerRecipes.com, we have a wide array of slow cooker ground beef recipes. In fact, there are so many, the selection might be overwhelming! 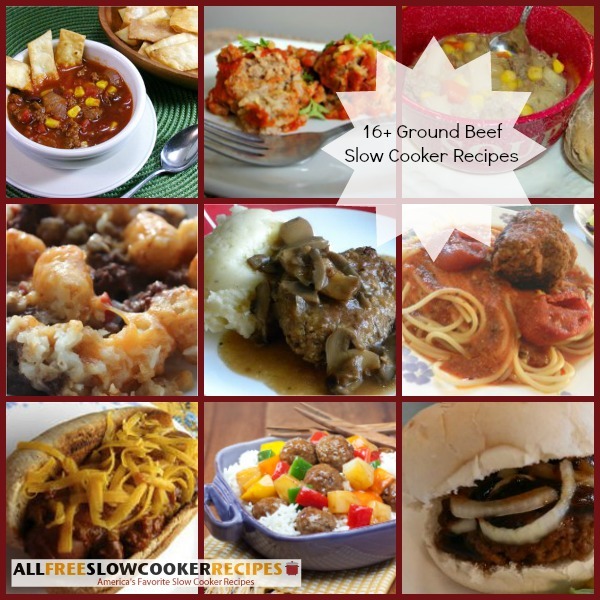 Luckily, the editors at AllFreeSlowCookerRecipes have hand-picked our top-rated ground beef recipes for the slow cooker and compiled into one handy, printable collection in our latest free eCookbook, Great Ground Beef Recipes: 13 Slow Cooker Ground Beef Recipes. If you love meatballs, stuffed cabbage, slow cooker chili recipes, slow cooker soups, slow cooker meatloaf, you'll find all of these ground beef slow cooker recipes in our free eCookbook along with many others! You can make so many delicious ground beef recipes using your slow cooker. Your slow cooker is the perfect cooking gadget because the longer the ground meat cooks in your crock, the more flavors it will absorb from your sauces and seasoning. Make slow cooker soups, stews, and chilis, or cook up your favorite casserole, slow-cooker style. Our free eCookbook is packed with simple and tasty slow cooker ground beef recipes. Read on to learn what ground beef slow cooker recipes you can expect from this slow cooker ground beef recipes free eCookbook and make sure to download your free copy today! That way, you can take these printable recipes for a slow cooker wherever you go and share them with friends. Our chapter on slow cooker appetizer recipes with ground beef includes some tasty ways to start off your meal. Whether you're heading to a potluck, hosting a social gathering of your own, or creating the perfect start to a family feast, you'll love these slow cooker appetizer recipes. In our slow cooker appetizer recipes chapter, we've also include slow cooker dip and slow cooker chili. 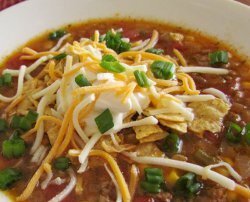 Classic Taco Soup (shown above, left) - is a delicious and classic dish--as the name suggests! This slow cooker soup recipe is packed with ground beef, onion, diced tomatoes, corn, beans, and more. Dry ranch dressing seasoning give this colorful soup an extra savory punch. 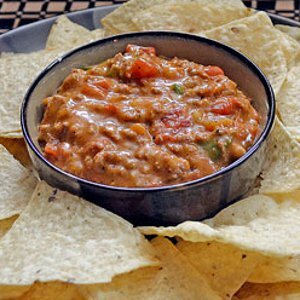 Mexican Nacho Dip (shown above, right) - is the ultimate nacho cheese dip to serve at a party, game-day event, or holiday party. It only takes one hour in your slow cooker. Download your free copy of the Great Ground Beef Recipes: 13 Slow Cooker Ground Beef Recipes eCookbook today! Our chapter on main dish ground beef recipes is diverse and tasty. You'll find many classic slow cooker ground beef recipes that remind you of Mom's and Grandma's cooking. Other tasty entrees found in this chapter include Slow Cooker Porcupine Meatballs Two Ways (shown in our cover above) and a Slow Cooker Loose Meat Sandwiches Recipe. 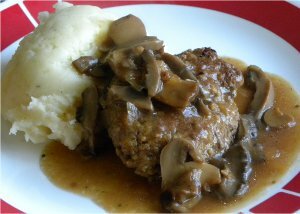 Old Fashioned 1950s Salisbury Steak (shown above, left) - which is a delicious slow cooker take on the old fashioned dish. Made with bread crumbs, onion, beef broth, canned mushrooms and gravy mix, this dish couldn't be easier. If you're in search of easy, weeknight meals that won't take long to prepare, this recipe certainly fits the bill. It only takes 10 minutes to prepare! 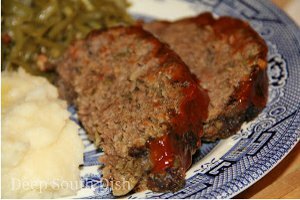 Moist Meatloaf with Mashed Potatoes (shown above, right) - we guarantee this slow cooker meatloaf won't come out dry, and it's packed with flavor! Our slow cooker casserole ground beef recipes chapter is jam-packed with tasty slow cooker casserole recipes ideas. If you've got some fussy eaters in your family, they'll go wild for our recipe for Kid-Friendly Frito Pie (adults will love it too). We've also included some old world classics. 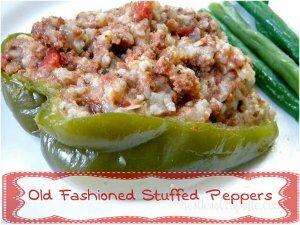 Old Fashioned Stuffed Bell Peppers and All-Day Shepherd's Pie (shown above) - Both of these slow cooker casserole recipes will warm you up on a chilly night and they're super satisfying, packed with veggies, rice, and potatoes. Cheeseburger Tater Tot Casserole - After each bite, you'll swear you're eating a hamburger and French fries--but all of these flavors are packed into a handy casserole instead. Cabbage Rolls For Six (shown above in the cover) - This all-day slow cooker casserole recipe is a wholesome, comfort-food dish the whole family will enjoy. You've had a great preview of what this new eCookbook has in store for you. If any or all of these recipes appeal to you, click on one of the eCookbook icons anywhere on this page to download your free copy of Great Ground Beef Recipes: 13 Slow Cooker Ground Beef Recipes. Once you get your copy, you can either keep it on your computer or eReader or print it out and keep it in your kitchen. No matter how you use your eCookbook, once you've tried even one of the recipes, you'll be glad you downloaded it. For additional slow cooker ground beef recipes, check out our collection of 16+ Ground Beef Slow Cooker Recipes! i love cooking so i"m sure i love cooking in the ecookbook! I haven't had the occasion to check the book out.